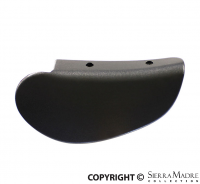 Black center console for 964 models. Years 1989-1994. 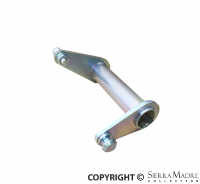 Steering shaft for 964 models. Years 1989-1994. 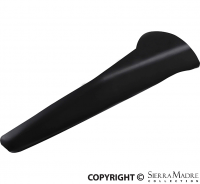 Gear knob for 964 models. Years 1989-1994. 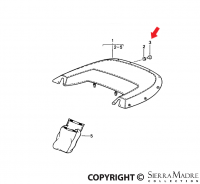 Horn button for 964 models. Years 1989-1994. Dashboard without central a/c for 911 and 930 (1974-1984) models. 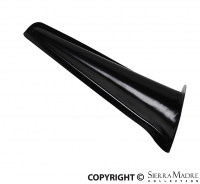 Made from heavy duty, highly durable plastic, these cores are the perfect basis for a custom or refurbished interior. Cover in vinyl for a stock appearing interior, or cover in leather or Alcantara for something truly unique. 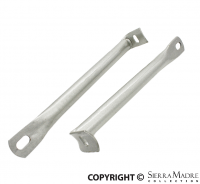 356 Brake line kit for 356C models. Years 1964-1965. 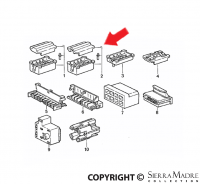 This kit contains 1 circuit brake system and 8 lines. Complete your brake restoration projects with these kits only. Pre-bent steel brake lines with zinc endings. Tight vinyl tubes added to protect the steel brake line from rocks denting or scratching from debris. 356 Brake line kit for 356B T6 models. Years 1962-1963. This kit contains 1 circuit brake system and 8 lines. Complete your brake restoration projects with these kits only. Pre-bent steel brake lines with zinc endings. Tight vinyl tubes added to protect the steel brake line from rocks denting or scratching from debris. 356 Brake line kit for 356B T5 models. Years 1960-1962. This kit contains 1 circuit brake system and 8 lines. Complete your brake restoration projects with these kits only. Pre-bent steel brake lines with zinc endings. Tight vinyl tubes added to protect the steel brake line from rocks denting or scratching from debris. 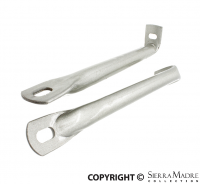 356 Brake line kit for 356 Pre-A (1950-1955) and 356A (1955-1959) models. 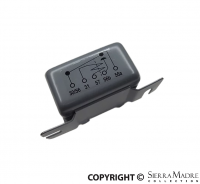 This kit contains 1 circuit brake system and 7 lines. Complete your brake restoration projects with these kits only. Pre-bent steel brake lines with zinc endings. Tight vinyl tubes added to protect the steel brake line from rocks denting or scratching from debris. Contact pin for 911/924/944/968 models. Years 1987-1989. 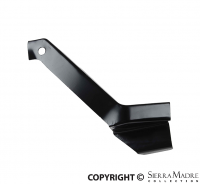 Seat hinge cover for 911/928 models. Years 1983-1986. 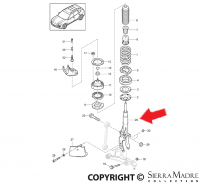 Rear shock absorber for Cayenne models. Years 2011-2014. Number 19 on the diagram. 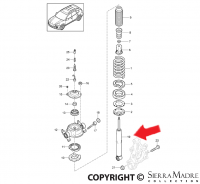 Passenger side vibration damper fro for Cayenne models. Years 2011-2014. Drivers side vibration damper fro for Cayenne models. Years 2011-2014. 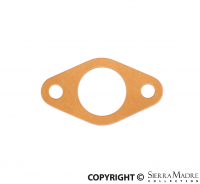 Transmission paper gasket for 911 (1987-1989) and 964 (1989-1994) models. 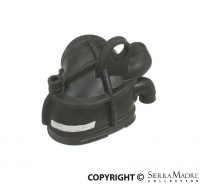 Transmission rubber o-ring for 911 (1987-1989), 993 (1995-1998) and 964 (1989-1994) models. Number 17 on the diagram. 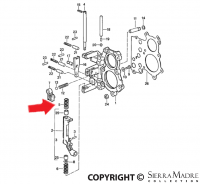 Transmission pressure spring for 964 (1989-1994) and 993 (1995-1998) models. Number 39 on the diagram. 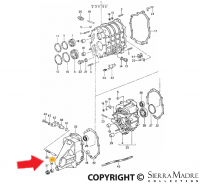 Transmission rubber seal for 964 (1989-1994) and 993 (1995-1998) models. 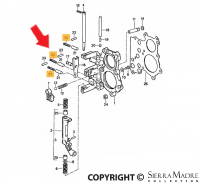 Number 32 on the diagram. 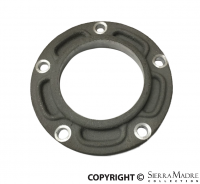 Transmission bushing for 964 (1989-1994) and 993 (1995-1998) models. 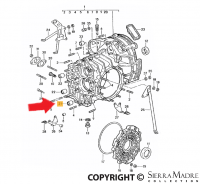 Number 40 on the diagram. 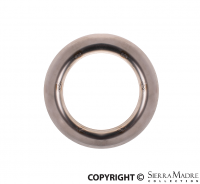 Linear ball bearing for 911 (1987-1989), 964 (1989-1994) and 993 (1995-1998) models. 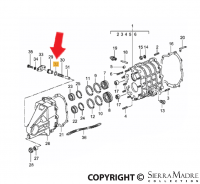 Number 21 on the diagram. 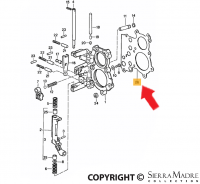 Pressure spring for 964 models. Years 1989-1994. Number 5 on the diagram. 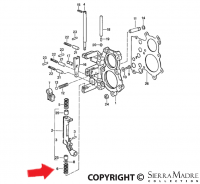 Pressure spring for 964 models. Years 1989-1994. Number 6 on the diagram. 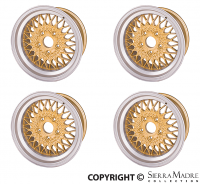 Fit washer for 911 (1987-1989), 964 (1989-1994) and 993 (1995-1998) models. Number 8 on the diagram. 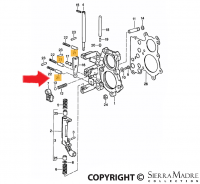 Strainer frame for 997 models. Years 2004-2012. Number 15 on the diagram. 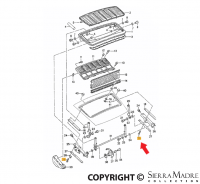 Pressure spring for 964/ 993 models. Years 1989-1998. 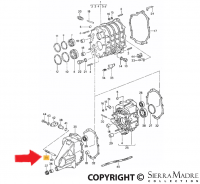 Number 12 on the diagram. 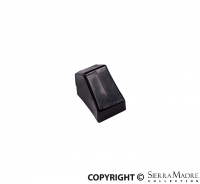 Transmission bushing for 911 (1987-1994) and 928 (1983-1986) models. 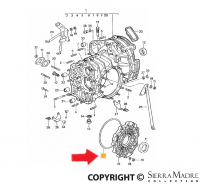 Number 21 on the diagram. 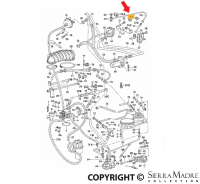 Pressure spring for 911 (1987-1989), 964 (1989-1994) models. Number 22 on the diagram. 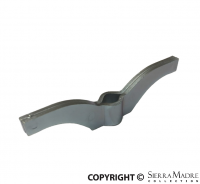 Transmission shim for 911 models. Years 1987-1998. 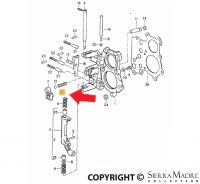 Number 26 on the diagram. 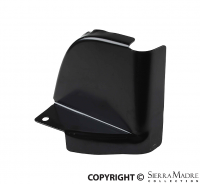 Center console cover for 911 (1974-1989) and 930 (1975-1977) models. 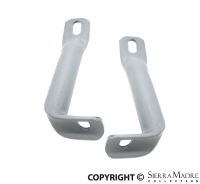 Seat rail support set transverse for ST/ R/RR/RS seats for 911 models. Years 1969 - 1973. A MUST READ! 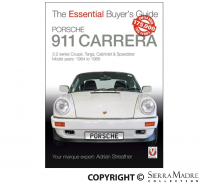 If you are thinking of buying a Porsche 911 Carrera 3.2 series, or already own one, this book is a must! This buyers guide is filled with great advice that ranges from running costs, paperwork, vital statistics, valuation and the Porsche community, right through to whether your Porsche will fit in your garage and your lifestyle. This is the complete guide to choosing, assessing and buying the Porsche 911 Carrera 3.2 of your dreams. 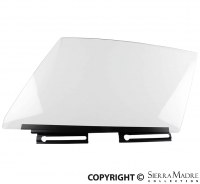 (1) 644.543.102.00 Quarter window Six piece clear glass set for 356B/C coupe.Set contains right and left door glass, right and left vent windows, and right and left rear quarter windows. All glass correctly marked with Sekurit logos. Please note this kit will also fit late 356A T2 Coupes with vent windows. 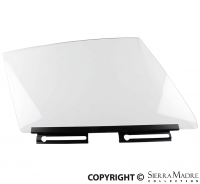 Four piece clear glass set for 356A T1 coupe without vent window. 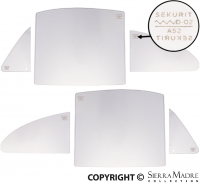 Set contains right and left door glass and right and left rear quarter windows. 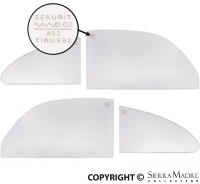 All glass correctly marked with Sekurit logos. 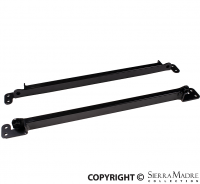 Right inner rocker panel/wheel case support for 911 models. Years 1963-1968. 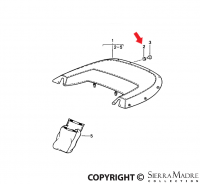 Left inner rocker panel/wheel case support for 911 models. Years 1963-1968. 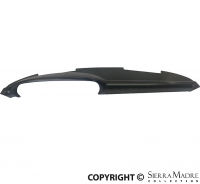 Left outer rocker panel/wheel case support for 911 models. Years 1963-1973. This is to be welded to the wheelhouse. 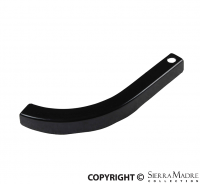 Right outer rocker panel/wheel case support for 911 models. Years 1963-1973. This is to be welded to the wheelhouse. 12v LED Instrument Bulb Set for 356B (1960-1963). 356C (1964-1965), 911 (1965-1989), 912 (1965-1969), 914 (1970-1976), 930 (1975-1977) models. This LED bulb set of 8, increases the brightness of your old instruments without taxing your charging system. Great way to increase the brightness of your dash for night driving! Excellent reproduction of the front generator strap for 356 (1950-1955), 356A (1955-1959), 356B (1960-1963), 356C (1964-1965) and 912 (1965-1969). Cabrio boot bag for 911 models. Years 1978-1998. 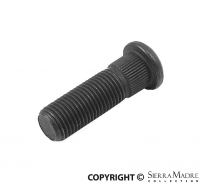 Brass fastener for 911 models. Years 1994-1998. 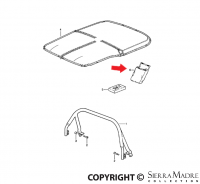 Snap cap for 911 models. Years 1974-1989. Rear spoiler M6 X 16 pan head screw for 991 models. Years 1994-1998. 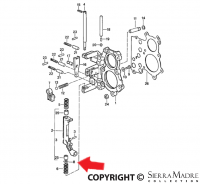 Dansk heat exchanger set for 914-4 models. Years 1970-1976. This is contains both the left and right side. 155mm Front bumper support tube set for 1959 356A models. This hard to find piece is finally available and made from the original U.S. style bumper support tubes. These tubes have an O.E. 'Adjusting Eye Hole'. 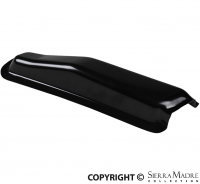 A key detail to fit your exact bumper due to all cars being built by hand which can result in a difference in shape. The adjusting eye hole gets you to have your bumper correctly lined up with an area to adjust it correctly. 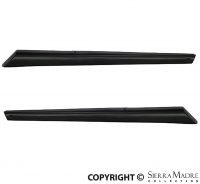 Rear bumper tube set for 356 Pre-A (1950-1955) and 356A (1955-1959). This set includes the left and right side. 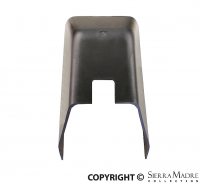 This is a must-have piece when restoring your U.S. bumpers on your rear bumper for your 356. 190mm Front bumper support tube set for 1959 356A models. This hard to find piece is finally available and made from the original U.S. style bumper support tubes. These tubes have an O.E. 'Adjusting Eye Hole'. 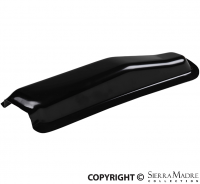 A key detail to fit your exact bumper due to all cars being built by hand which can result in a difference in shape. The adjusting eye hole gets you to have your bumper correctly lined up with an area to adjust it correctly. 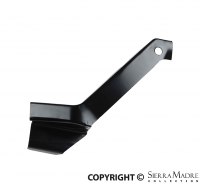 Right door window with lifter rail for 911 2.0-3.0 models. Years 1968-1979. This window is clear and without the E-mark. Left door window with lifter rail for 911 2.0-3.0 models. Years 1968-1979. This window is clear and without the E-mark. 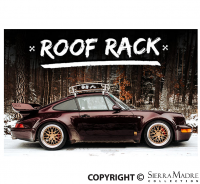 Car Bone Porsche 911 roof rack with a vintage flair perfectly fitting all Porsche models from 1965 to 1998 including: 912, F-model, G-Model 964 and 993. The rack is handmade, stainless steel with adjustable clamps. The Roof Rack is foldable and can be carried and stored in a special bag designed especially for it. The military style tool bag is included with the rack. 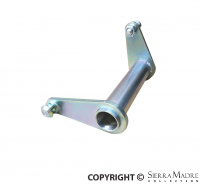 Repair piece for the right door hinge pillar for 911 (1963-1989), 964 (1988-1994) and 993 (1993-1997) models. 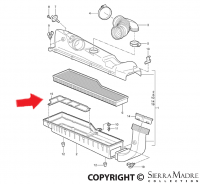 Repair piece for the left door hinge pillar for 911 (1963-1989), 964 (1988-1994) and 993 (1993-1997) models. Porsche: Gli anni d'oro/The golden years by Leonardo Acerbi. This book goes into great detail examining the full history of this legendary car company and contains previously unpublished images by Franco Villani. A recommended book on most Porsche literature enthusiasts list of must-reads. Original Porsche 356 The restorer’s guide to all coupé, cabriolet, roadster and speedster models 1950-65 by Lawrence Meredith. 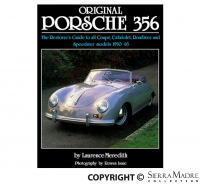 With the help of Porsche factory records and 356 experts, Lawrence has created a must-read book for any 356 enthusiasts. "The indispensable guide to Porsche 356 evolution and 100% originality". Ash tray assembly light for 911 models. Years 1974-1989. 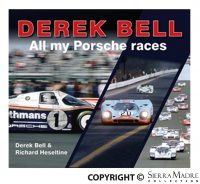 Derek Bell: All my Porsche races by Derek Bell and Richard Heseltine. This 276-page book describes what it was like during Derek's successful years as a Porsche racecar driver. 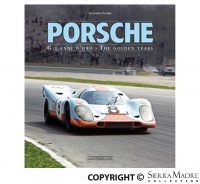 This book is a classic tale of what it was like during a Golden Era for Porsche. "That first season of sportscars back in 1971 was a lifeline on so many levels. It proved that there was a world outside of Grand Prix racing, and one that I came to embrace". 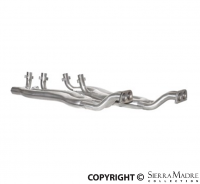 Fuel line holding bracket for 911 models. Years 1978-1994. 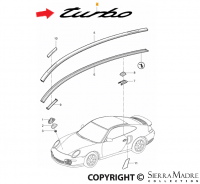 Chrome "Turbo" decal for 911 and GT2 models. Years 2007-2013. 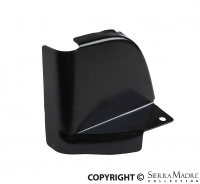 Headlight relay flasher sticker for all 356 models. Years 1950-1965. Includes a set of two stickers. Relay not included. 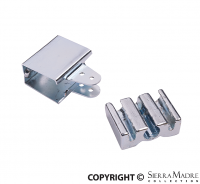 Emergency brake cable holder with handbrake clip set for 356A (1956-1959) and 356B (1960-1963) models. Crank case cover for 356 Pre-A (1950-1955) and 356 A (1955-1959) models with the 3 piece crank case. This ring Holds the seal behind the V-belt pulley. Sand casted and CNC machined. Number 45 in the PET drawing. 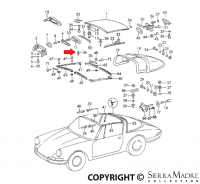 Plastic rivet for 911 (1965-1973) and 912 (1965-1969) models. 24 pieces are needed. 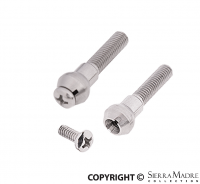 Stainless steel headlight ring screw set for 911/912 models. Years 1965-1989. 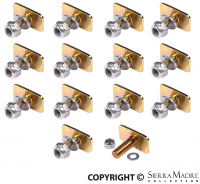 This high quality set includes the following part numbers: 911.631.033.00 and 911.631.132.00. 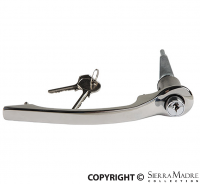 Right door handle with lock and keys for 911 models. Years 1965-1967. Left door handle with lock and keys for 911 models. Years 1965-1967. 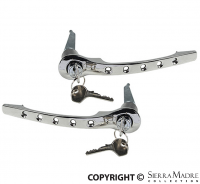 Chrome left and right door handle set for 911 models. Years 1965-1967. 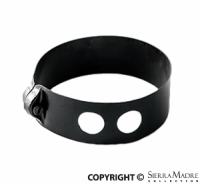 This set features custom drilled holes along the handle shaft. 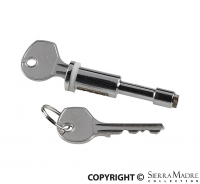 Set includes lock cylinder and keys. 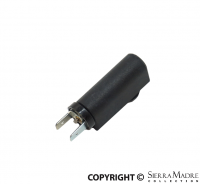 Lock cylinder with keys for 911 models. Years 1965-1967. 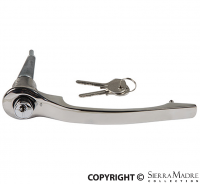 Reverse lever for 356 BT6/C models. Years 1963-1965. The angle of the levers is 69 degrees. CNC machined, laser cut and zinc plated. 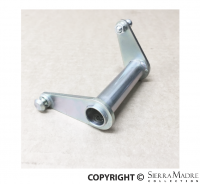 Reverse lever for 356 A T1/T2 models. Years 1955-1959. The angle of the levers is 36 degrees. CNC machined, laser cut and zinc plated. 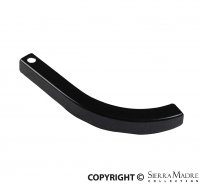 Reverse lever for 911/912 models. Years 1965-1973. The angle of the levers is 78 degrees. CNC machined, laser cut and zinc plated.